PALATKA, Fla. — On Nov. 5, 1976, Missouri angler Rick Clunn claimed his first B.A.S.S. victory in the Bassmaster Classic on Lake Guntersville. 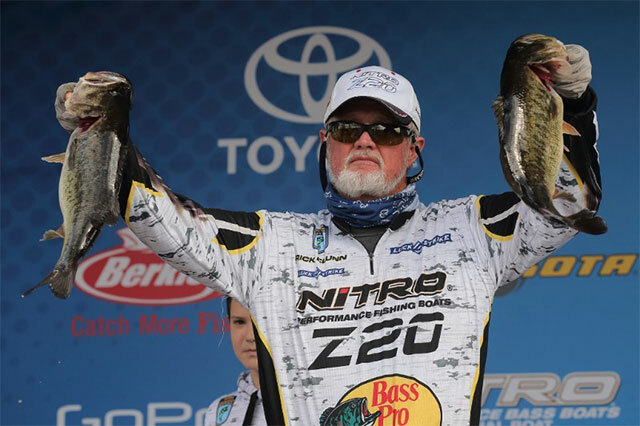 Clunn, who will turn 70 in July, caught five bass that weighed 19 pounds during Sunday’s championship round and won the Bassmaster Elite at St. Johns River easily with a four-day weight of 81-15. The win was bolstered by a monumental catch of 31-7 during Saturday’s semifinal round. Clunn was awarded $1,000 for leading the Toyota Bassmaster Angler of the Year points race at the end of the event. Robinson also earned the A.R.E. Top Angler Award of $1,000 for being the highest placing angler using A.R.E. products.